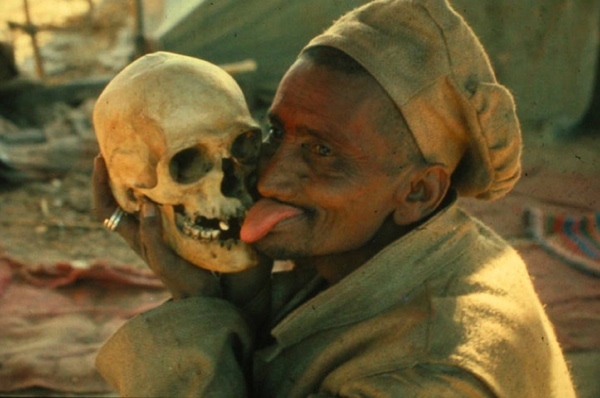 The Aghori Babas, who live in the city of Varanasi, India, are famous for eating the dead. They believe that the greatest fear human beings have is the fear of their own deaths, and that this fear is a barrier to spiritual enlightenment. So by confronting it, one can achieve enlightenment. There are five types of people who cannot be cremated according to Hinduism: holy men, children, pregnant or unmarried women, and people who have died of leprosy or snake bites. These people are set afloat down the Ganges, where the Aghori pull them from the water and ritually consume them. 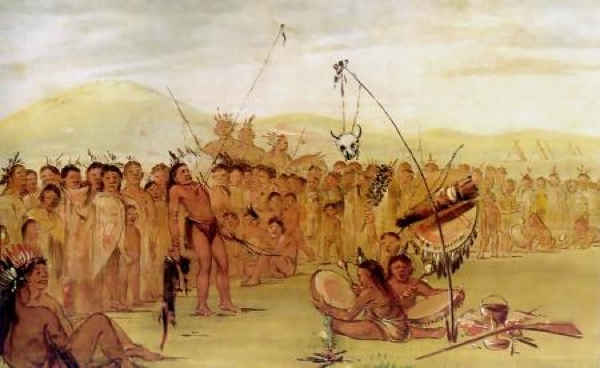 Native Americans are known to perform numerous rituals in honor of the Earth’s spirits. The rituals are a means of praying to the Great Spirit, and sacrificing oneself while retaining a direct contact with the Tree of Life. The skin on the chest of the participants is pierced with a skewer, and a rope connects the skewer to a pole which represents the Tree of Life. The participants then move back and forth to try and break free from the skewer—which, it bears repeating, is still lodged in their skin . This dance may take several hours before it is completed. Followers of the Shi’a sect of Islam carry out the ritual of mass self-flagellation every year during the Holy month of Muharram, in order to commemorate the martyrdom of Hussein, the grandson of Prophet Muhammad. In what can only be described as a gruesome display, the men whip their bodies with blades attached to chains. In their state of religious trance, they apparently do not feel the pain. 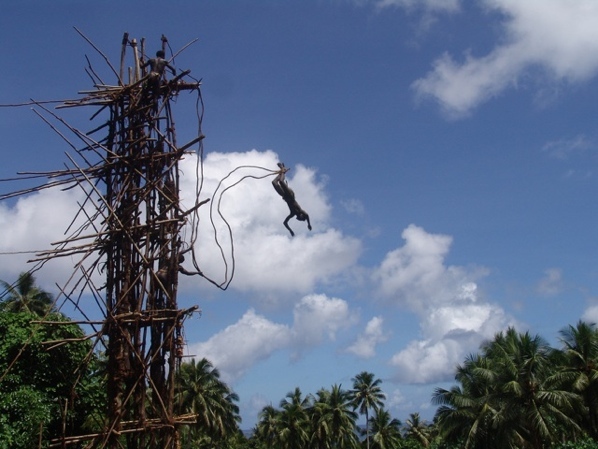 In the village of Bunlap, which lies on an island in the Pacific archipelago, a strange ritual is performed called Gkol , or land-diving—a kind of precursor to bungee jumping. The villagers sing and dance together, and some of them beat drums as men come forward to volunteer for the jump. They tie vines around their ankles, and jump from very high wooden towers constructed especially for this ritual. The participants, apparently heedless of the potential for broken bones, simply leap forward head-first. The fall is broken by the vines tied to the tower. It is said that a higher jump guarantees you a greater the blessing from the gods. Vodun is a religion in parts of West Africa. One of its rituals involves making someone into a kind of vessel, or medium. The person in question is taken into the forest in order to connect with the Earth Spirit, Sakpata. The spirit lays claim to the body, overcoming the person so that he or she becomes unconscious. They remain in this state for three days without food or water, until finally they are brought back to consciousness after another set of rituals. In Tibet, Buddhists practice a strange sacred ritual called Jhator , or sky burial. Buddhists believe in a cycle of rebirth, which means that there is no need to preserve a body after death, since the soul has moved on to another realm. 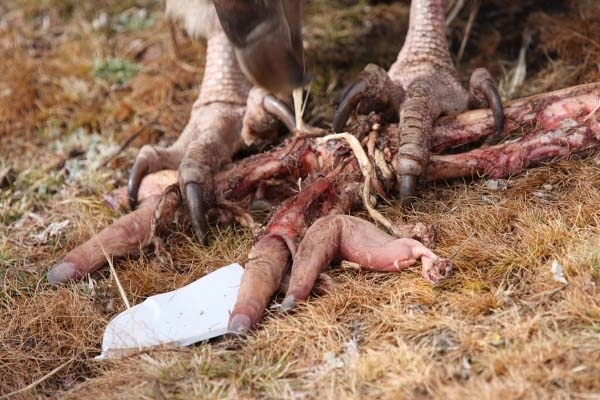 The bodies of the dead are therefore taken to open grounds—usually at very high altitudes—and then left as alms for scavengers such as vultures. In order to dispose of the body as quickly as possible, a specialist cuts the corpse into pieces, and spreads it around to be devoured. The Nine Emperor Gods Festival is a Taoist celebration carried out in Penang, Malaysia. 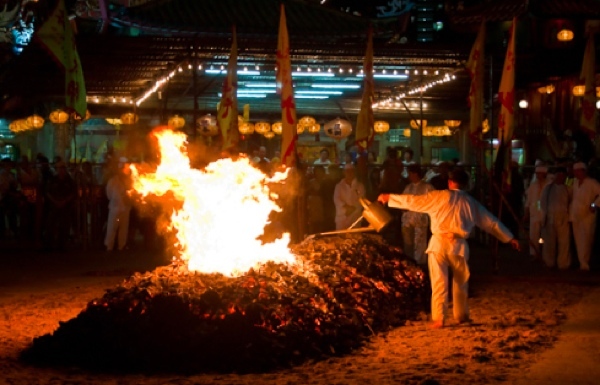 One of the purification rituals involves walking barefoot on burning embers. Fire is believed to overcome impurity and repel evil influences—so walking over the fire signifies a man’s strength, and his resolve to free himself from evil. Hundreds of devotees walk over the fire, sometimes carrying deities across in a brave display. 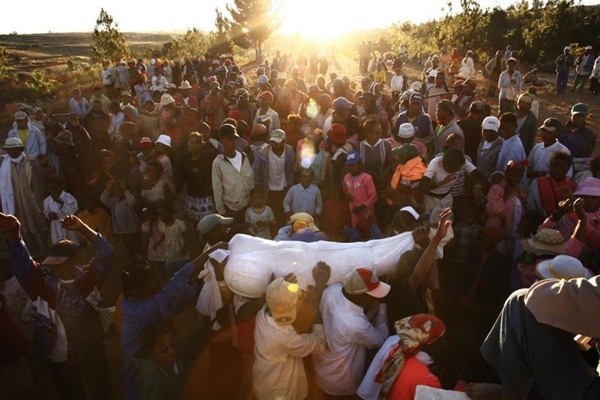 Famadihana , meaning “The Turning of the Bones,” is a traditional festival which takes place in Madagascar. The participants believe that the faster the body decomposes, the faster the spirit reaches the afterlife. They therefore dig up their loved ones, dance with their corpses to live music around the tomb, and then rebury them. This bizarre ritual is carried out every two to seven years. The annual Vegetarian Festival in Phuket, Thailand, is host to a most extreme ritual. This intensely masochistic event requires the participants to push spears, knives, swords, hooks, and even guns through their cheeks. It is believed that gods enter their bodies during the ritual, protecting them from evil and bringing good luck to the community. 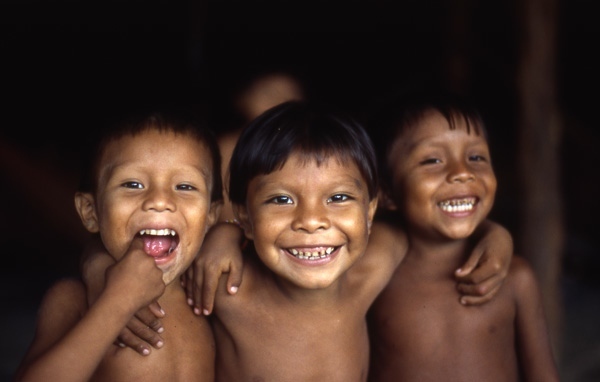 The Amazonian tribe of Yanomami is one of the most primitive in the world. In their view, death is not a natural phenomenon. The corpse is cremated, and the resulting ashes mixed with fermented banana. This mixture is then consumed by the tribespeople, as a way of making sure that the spirit of the deceased member continues to live among them. A tribe in Papua New Guinea called Kaningara practices a bloody body-modification ritual that is intended to strengthen the spiritual connection between them and their environment. One of these ritual ceremonies is carried out in Haus Tambaran , or “The Spirit House.” The adolescents live in seclusion in Haus Tambaran for two months. 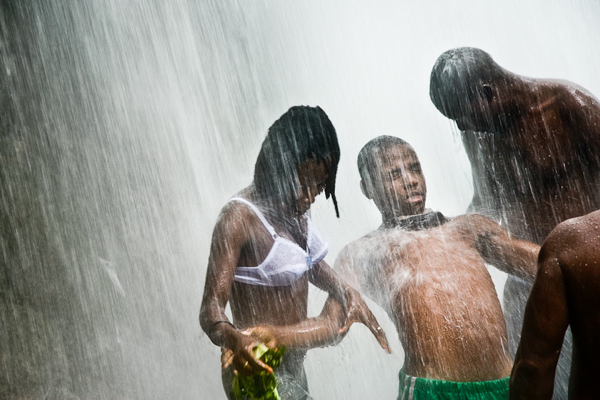 After this period of isolation, they prepare for an initiation ceremony which recognizes their transition to manhood. An expert cutter marks their bodies with sharp pieces of bamboo. The resulting patterns resemble the skin of a crocodile; this is based on the notion that crocodiles are the creators of humans. The marks symbolize the tooth marks left by the spirit of the crocodile as it ate the young boy’s body and expelled him as a grown man.